We arrived Mesa yesterday after a week two hours north, in Congress, AZ. Boy is it hot here, too. Today has been 90F degrees since mid-morning when it was 65F. Jim scurried over to the tennis courts at 0730 hrs, he was the first one today. He hit the backboard a little while before a charitable tennis club member suggested Jim might use the ball machine instead. Dale didn’t say it, but probably the backboard is a little too loud at 0730? They’re going to rank Jim for league tennis play this week by playing him a couple of times and seeing how he does. He hasn’t played in leagues nor had a ranking since 1992, back in Greensboro, NC, so this will be interesting and fun for him. And Dale did a real sales job on Debbie this morning when he visited us. Dale had talked Debbie, in just a few minutes, into starting playing tennis this Friday. This afternoon we hit the local sports supply store and found her a pair of court shoes, so she’s ready. We laughed afterward, Dale was a very successful salesman in his previous lifetime and doesn’t seem to have lost any of it. Congress, AZ, was an interesting layover. We were there to await Bob S on his way down from chilly, rainy and snowy Boise, Idaho. We had a few days on our own to explore, and didn’t need a single day more. We spent one half-day cruising the hills around Wickenburg and shopping the Safeway grocery store. The only two things to check out are Wickenburg and Congress and, from what we heard, we missed nothing in Congress. Wickenburg is surrounded by ranch estates, so to speak. We didn’t see much resembling ranches although there were a few. Mostly we saw very high end houses tucked against the hills on about ten or more acres each. Very nice looking, and they must have very very deep wells. Even the cacti look thirsty. Back to Congress — this is our first Escapees Park to visit and we would be happy to visit again. The rates are low, people are very interesting, and did we mention the rates are low? Campers must be members of Escapees, and willing to camp miles away from anything at all. 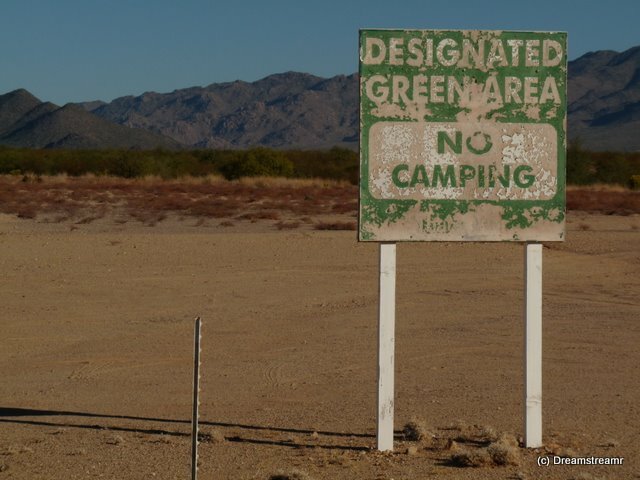 This park is thirteen miles north of Wickenburg and Wickenburg isn’t much. We met no homeowners who stay year-round in North Ranch Escapees Campground, they mostly stay through the winter months. Still, there doesn’t seem so much to do here — no tennis, no ping pong, no golf, no swimming pool. Jim asked several homeowners in the development, “What do you do while you stay here?” Several times we heard about panning for gold, four wheeling, beading, quilting, and ham radio. Okay, we like ham radio and traveling. 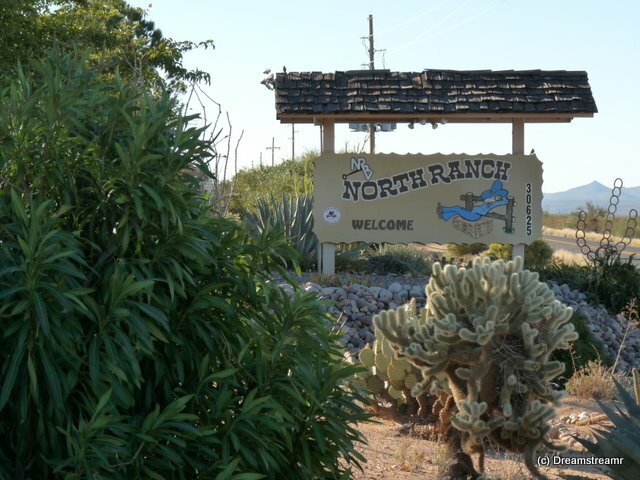 And we really like the folks we met at North Ranch. Maybe we will visit and not stay very long. So we’re in Mesa — Jim today bought a soft rubber-faced ping pong paddle and played tennis twice, we enjoyed a grilled stuffed chicken breast and salad supper, and we spent an hour at the pools. Yep, pools — four of them. A 25 meter lap pool is maintained at 75F, a conversation pool is 85F, one hot tub is maintained at 98F, and one hot tub is at 104F. We checked out all four pools tonight before hitting the showers then home and getting ready for tomorrow. Tomorrow is forecast for 94F — we’ll try to hit the pools much earlier and perhaps for longer. Take a good book and a big ice water, and stay awhile. And work a little on our tennis basics, eh?